Dr. Giridhar Vedula is a highly skilled, board certified surgeon, whose clinical specialties include abdominal transplantation, hepatobiliary surgery and laparoscopic liver surgery. 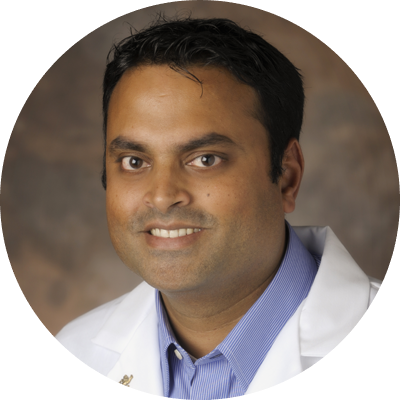 Dr. Vedula came to the AdventHealth Transplant Institute, formerly Florida Hospital Transplant Institute, from Columbia University in New York, where he completed his Transplant Surgery Fellowship. Dr. Vedula performs operations, liver resections, donor nephrectomies and sees patients post-transplant to ensure proper healing is taking place. He received his medical degree and completed his general surgery residency from West Virginia University in Morgantown, West Virginia where he served as chief surgical resident from June 2008-June of 2009. He also completed his undergraduate degree from West Virginia University with a Bachelor of Arts in Biology.